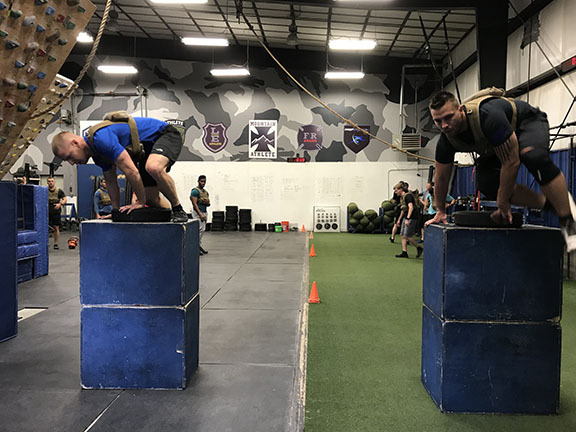 Tactical Athletes Chris (military) and John (LE) finish theTAC SEPA Tactical Pro Agility to Stacked Box Drill last week during the MTI Advanced Programing Seminar. MTI began thinking about, and programming for Tactical Agility 3 years ago. I’d been exposed to the agility drills being promoted/recommended from the National Strength & Conditioning Association, and realized immediately they were simply re-tread agility drills and methodologies developed for stick and ball athletes. MTI’s Tactical Agility programming is still evolving. Ultimately we hope to develop tactical-specific agility standards, exercise methodologies and programming. MTI’s Tactical Agility drills and programming has always been aimed at improving tactical athlete’s speed and coordination for jumping over obstacles, crawling under obstacles, and movement under fire. By incorporating these drills and movement into our Base Fitness programming for Military, Law Enforcement and Fire/Rescue athletes, we ensure that the first time our athletes have to move like this in a dangerous, real-world situation, won’t be the real thing. The drills we’ve developed still apply, but our drill categorization and programming application has evolved. (4) Unloaded and loaded drill execution. Unloaded to introduce athletes to the drills/movements/skills and loaded (body armor, duty belt, bunker gear) to practice the movements in a mission-direct manner for better transfer to the field. When comparing MTI’s Tactical Agility drills to typical stick-and-ball sport agility drills two differences stand out: (1) Level Change, and (2) Loading. Most, if not all, of MTI’s Tactical Agility Drills involve some type of level change – from prone on the ground to standing, from standing to prone, from standing up and over and obstacle, and from prone to standing to up and over an obstacle. Our current approach is to deploy Tactical Agility drills as the first approximately 30-minutes of a 60-minute training session, including the warm up. The Tactical Agility Drill is completed first unloaded (Part 1), for 5 rounds, with the first round completed at half-speed. The same Tactical Agility Drill is then completed loaded (Part 2), for 5 rounds, with the first round completed at half-speed. Athletes are given plenty of rest (45-60 seconds) between rounds. 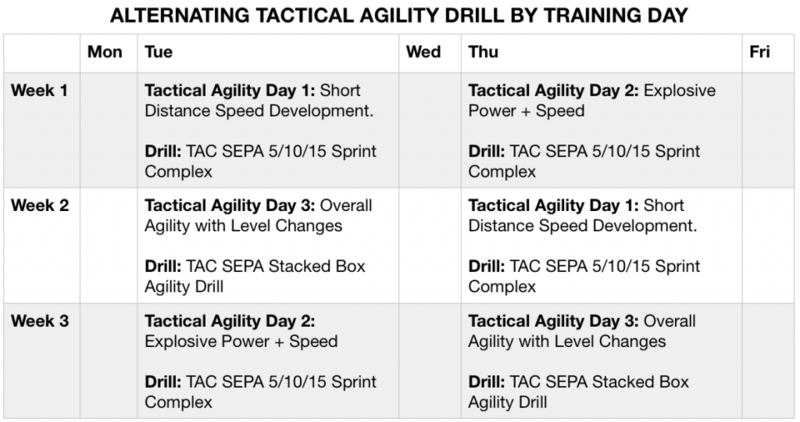 Tactical Agility programming isn’t conditioning – we want the athletes as fresh as possible between individual efforts so they can focus on speed, coordination and agility. Finally, we complete the Tactical Agility portion of the training session first. (4) 5 Rounds, Every 90 Seconds …. 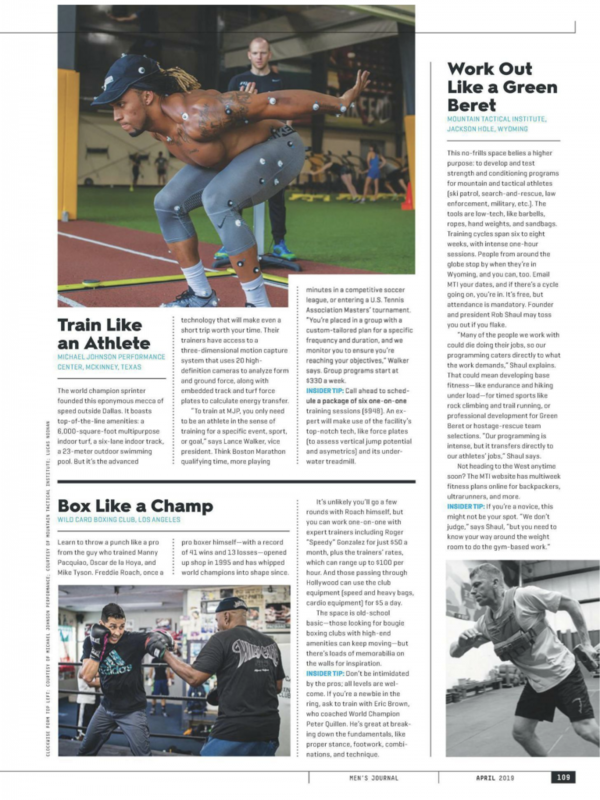 Tactical agility, though 3 years old now, is still the “youngest” fitness attribute in MTI’s Base Fitness programming for tactical athletes, and the theory is still evolving. Response from athletes we work with in the gym and remotely has been positive. If not made to train Tactical Agility in a MTI training session, few would move like this in training on their own. From MTI’s perspective, with our primary goal to improved Mission-Direct performance, the last thing we want to have happen is to have the first time one of our athletes have to move from prone, to a short sprint, to over an obstacle to prone again, in kit, be during the real thing. We want them to know what this feels like, and have some experience/agility on how to execute this type of movement during their day-to-day, Base Fitness training. I am a Federal Probation Officer in Texas, and I noticed that you have worked with other federal LE agencies. I was wondering if you have any plan recommendations. I am particularly interested in strength and endurance training. I am a member if our agencies health and wellness team and would like to pass along some recommendations at our next meeting. For Patrol/Detective Officers I recommend the plans/order in the Spirits Packet. These plans concurrently train strength, work capacity, upper body hypertrophy, tactical agility and chassis integrity (core). For full time SWAT/SRT, I recommend the plans/order in the Gun Maker Packet. These plans concurrently train strength, work capacity, endurance including rucking, and chassis integrity. If your specific job description includes making arrests, I’d recommend the Spirits Packet. If not, and you’re mostly interested in a solid plan which trains both strength and endurance specifically, I’d recommend Patsy. I am training for SWAT school coming up in November. Part of the process is a high volume stress or hell day. I have completed the day before but need to improve on my performance. I have been browsing through the programs on your site including the LE SWAT type stuff, Rangers, and PJs. All of them have movements similar to our process but I am unsure about how best to train for the volume required during the day. It doesn’t seem like I’m doing enough. I’m familiar with the idea that short burst of high intensity work can improve your ability to do endurance work. I believe it was one of the BORTAC programs that had mini events built in every two weeks. That seemed to be a good idea and I am going to do one tomorrow. I am unfamiliar with how to train for high volume endurance work without just doing high volume all the time and without injury. I’m 36. Any help or direction you can offer would be appreciated. 1) We’ve had success with the mini-event days for those events. Others have used our SWAT Selection Training Plan as well, successfully. It doesn’t include mini-events, but does include lots of volume. However, most SWAT selections don’t include pool work. You may want to look at the BORSTAR STC Course Training Plan – which does include swimming, and mini-events with pool work. Been awhile since I’ve sent you anything, but reading your “Failure Resume” was eye-opening to say the least. So on to the technical stuff, one of the links at the bottom was the FMS and prehab, rehab, etc. So, being a lifelong athlete, wrestling in junior high, Cross Country, Swimming and Triathlon in High School, and then Triathlon in college, I’m tighter than an old iron dog. I work on my flexibility but I get to a certain point and it just doesn’t get better. I rarely get injured to the point that I can’t continue. That being said, I’ve often wondered how much power I’m losing by not being able to move through or in a full range of motion. Maybe it’s negligible, but I don’t know. Seems to me that would be a good reason to focus on that stuff. But I do tend to agree with you, and even pavel said that you should be flexible enough to do your sport or activity and no more. On the programming side, I’ve been following your programming for (gosh, I don’t know, seems like 2 years but probably more, I keep thinking I’ve been doing jiujitsu for 12, but it’s really 18!) and recently developed bicep insertion pain and pain in my right neck (Levator Scapulae) and the PT said more pulling was the fix, rows, pull ups, all the variations, to get things back in balance. My arms are so internally rotated from swimming that’s what’s causing the bicep pain and contributing to the levator pain. I know you’ve said that it’s less of a requirement for tactical athletes than pushing, but any suggestions for getting more pulling in? I’ve been subbing rows for push-ups, mostly in the warm up, (I don’t worry too much about my push ups, since I did a lot from swimming, and I can do a lot now) is that the best way to handle it? We’re finishing up Law Enforcement Seiko, huh, looking at Rolex now, I guess that’s gonna be a moot point with the pull up variations. Ha. Okay then. Hope this finds you well!! By the way, I want to bring my family out to Wyoming in the next few years and do a dude ranch vacay for a week or so. I was reading about the 7D ranch, do you have a favorite or a place you’d recommend? Flexibility – difficult to find any links between flexility and durability. 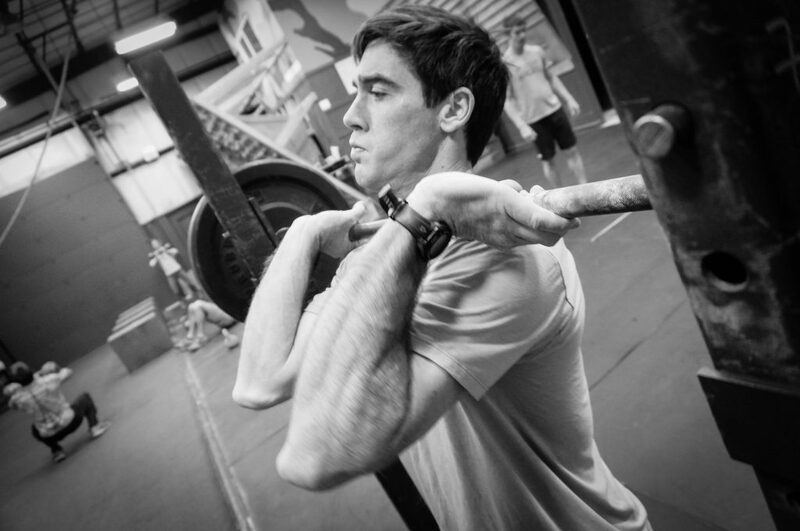 Mobility – better mobility can lead to stronger athletes. Think about the front squat …. the legs are always stronger than the core. The core fails first on this lift and most lower body strength exercises. This means the more vertical the back can be in the bottom of the squat, the more load is on the skeleton, and the less is on the midsection musculature. This, athletes with better mobility, who will have a more vertical back in the bottom of the squat, can in theory, lift more weight, and so I can get their legs stronger than athletes with less mobility. You won’t find an Oly weightlifter who doesn’t have a nearly vertical back in the bottom of the squat, or hang squat clean. However, mobility seems to be as much about patterning – and movement in space – as flexibility. I’ve found in my work that hours spent stretching and practicing patterning leads to minimal gains mobility for most athletes. If I were training Oly lifters it would be more important …. but I’m not. More pulling? Seems to me every freestyle swim stroke is a 1-arm vertical row at least for the first 1/2 of the motion. I think your PT is wrong and you should see another PT. Dude Ranch? Can’t help much here other than to say you should skip the dude ranch and go on a pack trip in the Bridger Wilderness. 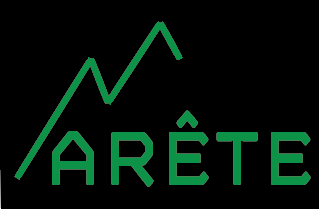 Search for outfitters and guides in the Pinedale area. Schedule the trip as late in the summer as possible before school. I purchased the Low Back program and I plan on start it on Monday. I have a couple questions. 1.) I’m terrible at pull ups, what if I can’t do all of them? 2.) 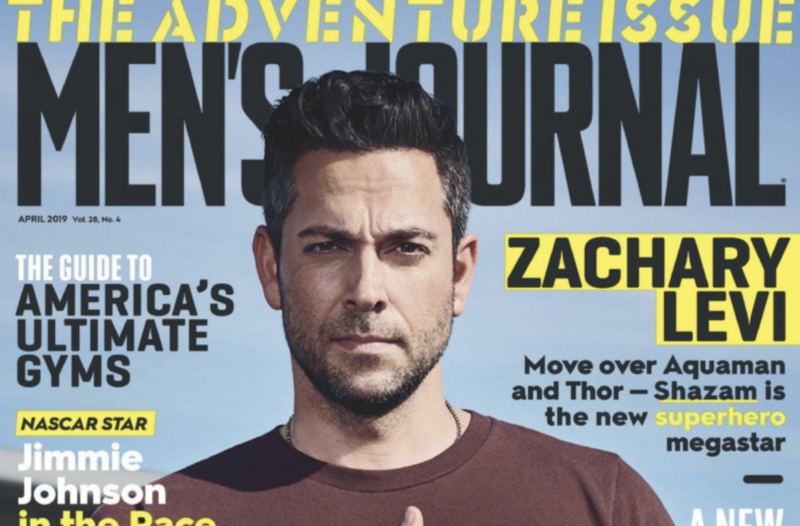 When it says ruck, am I running, walking, or combo of both? and 3.) Are the squats weighted or just body weight squats? I know you’re probably swamped with questions, just wanted to say thank you and I’m looking forward to knocking this out and doing more programs. 1) Do negative pull ups. Set up a box/bench below the pull up bar – jump up until your chin is above the bar, and lower yourself down slowly to full elbow extension on a 5 second count. 2) Rucking in this plan = walking. I’m just getting back into the swing of things and doing the on ramp. After on ramp I will have 6 or 7 weeks before robin sage. What plan do you recommend? Also, after sage, do you recommend I on ramp again? I’m emailing to ask about plan recommendations and customization. *I have access to a functional fitness gym, including ropes. I hope to hear from you soon – I’m a fan of what y’all do and I’d like to give you some business. Would you recommend executing the FBI SA PFT program by itself or in conjunction with another plan? By itself is you’re really interested in maximizing your score. I only made it through the first three weeks of this plan before I was laid out with salmonella (it’s far worse than I could’ve imagined) but I’ve since started from zero and I’m into week 4 today. I’ve dropped 13 pounds and 2:50 off my 1.5 mile run. I’m feeling really good about it. It’s been going so well, I’ve been thinking I might repeat this plan in an effort to drop even more fat before moving into something more advanced. Do you find that beneficial, or do people tend to plateau if they repeat a plan? Notably, I see a lot of the other plans include pull-ups, which I’d like to be able to do, but I can’t yet, so I feel those plans would be wasted on me. Also, I generally exercise alone (I’d rather that was different but it’s not), which is to say I can’t plan on having a spotter at the gym. Those factors accounted, I’m very open to recommendations. Thanks very much for your time. I appreciate any feedback you might be able to provide in the next couple weeks. Repeat & Plateau? Eventually, but it all begins where you start. You should be fine to repeat. Spotter/Lift alone? This shouldn’t be much of an issue if you know your way around the weightroom. Two exercises can be troublesome – the bench press and back squat. When I bench alone I don’t put collars on the barbell so I can dump the weight if I can’t lift the bar. This has happened several times. Back Squats – when I lift alone I’m really cautious for loading. Use common sense and you should be okay. Pull ups? Do negatives – jump up, let your self down slowly to a 5 second count. After Fat Loss, I’d recommend Johnny. I intended to start down the Backcountry Hunter Packet path, but I’m already a couple of months behind. In a past life I was an army infantryman, but I got out in 20147 and have let myself get out of shape. My hunt is in late September chasing elk with a muzzleloader. I need to do the body-weight foundation twice, which puts me a couple of months behind schedule. Does it make sense to just get as far through the program as possible leading up to the hunt, or should I consider an alternative such as the Afghanistan pre-deployment? I’ve made the necessary tweaks to my diet and have lost 15 lbs since late January, but now need to start on the physical portion. You can make modifications until your 8 weeks out from departing for your hunt, then you have to start and complete the last plan in the packet – the Backcountry Big Game Training Plan, directly before your hunt. This plan is no joke, and the lead-up plans prepare you for this plan. I’m coming off a knee injury (both knees) and was going to start with the Post Rehab Leg Injury Training Plan. 90-95% of weight loss is diet related. Here are our recommendations. Running: The Post Re-Hab Leg Injury Training Plan does include a 1 mile run, plus step ups on Wednesdays. You could add in another run on Saturday. The plan is strength and proprioception-focused. So I’m looking to improve my overall strength, primarily my core lifts. I get plenty of cardio and running with unit pt, I’ve been consistently in the gym but had no luck improving my strength over the last couple of weeks. I’m a fairly recent college graduate and my goal is to become an FBI agent. My approximate timeline before attending the academy is 2-3 years to obtain my CPA license and get through the application process. My prior fitness experience has mostly been bodybuilding-style workouts, with a major in hypertrophy and a minor in strength, with little cardio. Given that I have so much time before I would be able to attend the academy, I want to build up a strong base level of fitness so I can ace the PFTs and be as fit as possible going in. I’m looking at the Spirits pack of programs to start with, and I know I would need to do the FBI selection plan right before going in, but I’m wondering what you would recommend in between those plans? Would I repeat the Spirits pack until time to train for the PFT or is there a different program you would recommend? Yes on starting with the Spirits Plans. You can repeat them, or move to some of our other LE programming – such as the Gun Maker Packet for SWAT/SRT. I ordered your USMC PFT plan and I am very pleased with. One question: would it would be counterproductive if I prepared for both the pullup and pushup element simultaneously? Would I also be able to do some ab circuits and some light weight training at the end of a few of the workouts each week, or would that also potentially be counterproductive to achieving my desired score on the PFT? You can certainly do both pull and push ups. Do a max rep push up test and follow the same programming as the pull ups. You can add extra training – as long as you’re making the progressions in the plan. Once you stop making the progressions, pull back on the extra training. Understand that if you are focused on improving your PFT score, follow the programming as prescribed and don’t add stuff. What is the proper order for conducting the Greek Hero Series? I recently completed one of you plans, thanks. I’m looking at the short duration obstacle course plan and the back county big game plan. If I do the short course obstacle will I be able to jump into the backcounty plan without starting from the beginning? The reason being is once I finish the obstacle course plan (for a set event date) I will not have 8 weeks to finish the big game plan before I take my hunt trip. No. You’ll want to start at the beginning of the Backcountry Hunting Plan and proceed as far as you can prior to your hunt. The programming in the plan is progressive – and you need to start at the beginning. I am about to start Big 24 but have a couple questions. 1.) I’m a little confused on how you record the 3RM. As the training is concerned, there’s 8 rounds to work into your 3RM and it says record final load. Does this mean record the last set of 3 after taking 7 other sets build into it or does it mean take the average of 5 working sets after taking 3 sets to warm-up? 2.) Is there a reason why hang squat cleans are programmed in instead of full squat cleans? I go to a gym that has oly lifting platforms and a decent training background with full cleans so normally I do full cleans for working sets in programming. 1. Record the load of the 8th round of 3 Reps.
2. Less technically difficult than full squat cleans. I see for the Greek Hero plans there is a certain order recommended. Is this the case for the Busy Operator plans as well? When there are specific focuses or interest areas, is it better to purchase packages or utilize the subscription? No order for the Busy Operator Plans … you can complete them in any order you chose. Below is the difference between purchasing options. It’s really up to you. Firstly, would like to express my continued appreciation for all you do! I have been using MTI for 18 months now and I have found the overall approach to be by far the best I have used. Three key factors here – I haven’t injured myself once (I train alone), I have seen great results and have not been bored at all. Thumbs up! I am just finishing up the Super Squat Strength plan. While I haven’t been as consistent as I would have liked (have been training 3-4 days a week rather than 5), I have seen good improvements in my numbers. Holding the bar for those 3 breaths for 20 reps is brutal at those percentages! I have a couple of questions I hope you can help with. I am a 41 yr old general purpose athlete (not mil or LE etc although have been in military) and want to maintain a high standard of overall fitness. I really enjoy mountain biking and rucking as well as time with the bar. I struggle to keep weight on – especially when doing a lot of work capacity type training. I enjoy work cap training though but have found, unsurprisingly, that I keep my weight near where I want it to be when I focus on strength training (my diet is pretty good). My goal is to keep an overall focus on strength throughout all of my training but find the right balance and diversity between strength training and work capacity and endurance type training (which I find good for my soul). I recognise that I am not a coach so pardon my ignorance but how long should a strength cycle be? Is there a standard approach or is it dependant on the individual and their goals? Completing these plans in this way would keep me occupied for a while!!! I’d be grateful for your views. 1. 6-8 weeks is my approach – but other coaches may feel different. 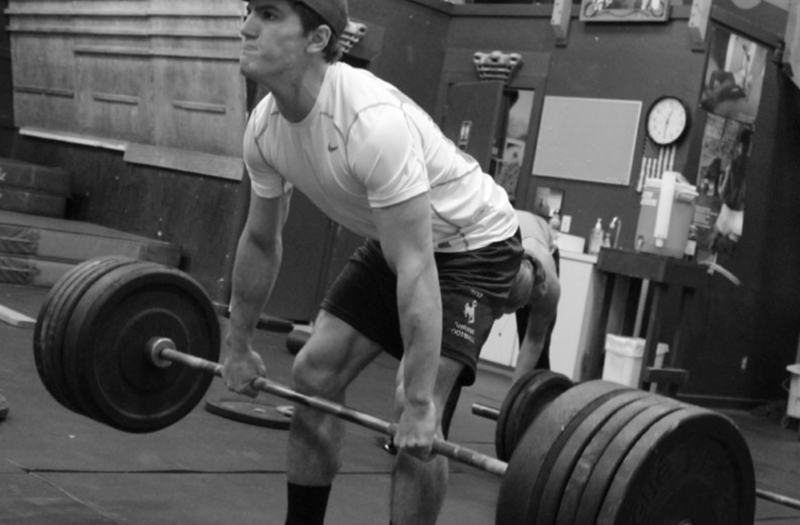 Understand that coaches who train power lifters and oly lifters train strength constantly. However, when it comes to fitness programming, “everything works, but nothing works forever,” – eventually the body accommodates to the stimulus and progress stops. 2. I haven’t coached or done something similar, so I’m not sure the effect … but it’s worth a try. Our strength plans do include work capacity efforts, but little to know endurance. So your endurance will suffer (MTB, rucking). I’m 45. I’m a doctor and have no prior military experience. It looks like I’ll get to work with a range of NATO special forces. While I won’t have to pass any serious type of selection I don’t want to embarass myself too much. I ruck twice a week, I run once or twice a week, I do kettlebells and sandbags and barbells 3 times a week. But nothing major. I’ve never been much the endurance star so I feel like I should be out on the hills everyday, but in my heart of hearts I know I need to get a lot stronger before I push the endurance side of things. Where do I start? I’ve been looking at the on ramp plan. Is that a good beginning assess where I stand? Yes – start with the Military OnRamp Training Plan. I’m not sure you can help, but if anyone can it’s you. I’m an LT in the Guard and have a number if schools and events on the horizon. On the civilian side, I’ve signed up for competitions in a couple different sports. Mostly for fun, but I want to make a serious showing. However, I’m overwhelmed on how to train for them all efficiently and without an unacceptable level of risk of injury. Military Police SRT school – likely OCT or NOV.
As you can see, I’m a little over committed. Many of these events have overlapping areas to train on, but I don’t feel capable enough to put together a comprehensive plan. I’d focus on the APFT and the SRT School. Use the APFT Training Plan the 6 weeks directly before your test, and the SWAT Selection Training Plan prior to SRT School. Prior to starting these event-specific plans, and between them, I’d recommend the plans/order in the Gun Maker Packet for full time SWAT/SRT. Can you tell me what the difference is between the sfas program and the cag program? I’m either going to sfas this summer/fall or the long walk next year so I may just hedge it by doing the cag program if it’s not vastly different. The programming difference reflects the primary fitness demands of the events. As I understand it, there are few, if any, team events at CAG. The focus is on rucking. SFAS has plenty of team events, work capacity smokers, etc. I just bought the Bodyweight Foundation workout and was hoping to integrate a solid diet with it. Do you have an example of what a typical day should look like as far as breakfast/lunch/dinner? Always struggle with good breakfast ideas. I am former military and an active LEO and my days are anything but normal so was looking to see if you had any good ideas. Also, what are your thoughts on taking a whole food multi and fish oil. (I just hit 40 and heard they could have some benefits). Could they? If so, any recommendations of which brand? Really appreciate the help and look forward to getting started with this workout. Our nutritional guidelines are simple, and direct. We don’t offer individualized nutritional plans, and don’t endorse any supplements. In general, I feel supplements are waste of money and good nutrition simply isn’t that complicated. The hard part is sticking to eating clean. I have a question about choosing a program. My fitness is already high and I am not injured. I am going to be deploying and then immediately going to Ranger School when I return. I am wondering if you have a recommendation for which programs I should run leading up to deployment and then on deployment to be ready for Ranger once I am home. I am looking for the next training phase for me. I came back last week from a week of ski touring in the Selkirks and took a week to offload. I had done the Backcountry prep and then Artemis. Spring is coming soon here in the Northwest, so that means I need to prep for mountain biking and surf ski paddling. I am open to suggestions for the next program. I don’t have a plan which trains for both surf paddling and mountain biking. I do have a Mountain Biking Pre-Season Training Plan, and a Surf Pre-Season Training Plan. Or… you could do one of our training plans designed for tactical athletes with water-based mission sets (SEALs, Dive Teams, etc.) and complete Captain Morgan. If so – one change would be to change the 6-mile run assessment to a 12-mile bike assessment and do 4-mile threshold intervals. I am starting week 5 of your off season strength for endurance athletes plan. I am feeling stronger each week, thanks for the program. Over the past two weeks my joints have been popping and at week 2 strained my abductor muscles in my right groin area. This has hindered lifting heavy weights especially squats. I am now having less severe pain but with similar motion in my left abductor muscle group in left groin as well. I understand that you are not a medical professional, but wondered if you had any insight on how to adjust the programming. It’s been a few years since I have been very active and several years since I spent much time in a gym consistently. I think it is just my joints, tendons and ligaments adjusting to the increased workload. I thought about doing the remainder of the 10 workouts (weeks 5 and 6) over 3 weeks and adding in a resting with some low intensity aerobic work and stretching 2-3 times a week. I’d love to hear your thoughts as I’m sure I’m not the only guy going through this and writing you about it! Options are (1) skip all squatting, (2) decreasing the loading significantly to avoid pain, (3) Both decreasing loading and decreasing the squat depth to avoid pain. I just completed my first Monday morning workout with the DEA PTT program. My initial score was a -4. I expect to take the physical test assessment at the MAC on April 7th, 2019. Do you feel by following this program religiously I will be able to improve my score enough to pass? Or is there something more I could be doing? Thank you for your time. 1) No idea. In general, we’ll see a 10-25% overall score improvement with our PFT programming. As well, the worst shape athletes are in at the beginning of the cycle, the more they improve. 2) Cut weight. Losing weight will increase everything. I’m trying to find a workout plan that will help me build strength but also build stamina and endurance. Any plans you recommend? First some back ground on me and my fitness goals. My age is 51, height 5’-11”, weight 175 pounds. I currently train 6 days per week at my home gym. My goals are to maintain my current weight and increase my mobility and core strength. No major injuries to speak of except the occasional low back pain when my back squat form is bad. I am committed to a healthy lifestyle of outdoor activities and flexible dieting and have been the past 3 years. So knowing this, what program of yours would you recommend? My thoughts were the ones for the “older crowd”. Look at the plans/progression in our SF45 Packet I. These plans are designed for tactical athletes ages 45-55 – and have modifications accordingly. However, they are still intense. I’m 50 and this is the programming I generally do. I am still highly interested in the Spirit Series for LE. I started with the first week of Whiskey. After the first training days I ask myself if there is enough volume for strength-gains and upper body hypertrophy. Coming from ‚Tactical Barbell‘ I used to squat and bench several times per week and had a pretty high volume and high frequency in those big compound exercises. This week, there are only one time heavy squats and once bench. Is there a reason for this low volume and low frequency approach? I am a little bit afraid to lose some muscle mass and some max strength, following this template. By the way: I love those TAC SEPA sprint protocols. I had so much fun in training yesterday (until burpees were thrown in!!). You’re one week in. Complete the plan then judge. I just updated Whiskey. Your passion for theory and approach for fitness has been something I’ve identified with since I’ve found you guys. You’ve never let me down and I’ve always known which direction to go under your guidance. So props. My question is this. I’m a light infantryman in the Colorado National Guard. We are just about 7 weeks our from a JRTC rotation lasting about a month. My squad, weapons squad more specifically are some pretty fit dudes all having a solid base built up. That being said, even though JRTC is flat, we still decided to start the Afghanistan pre deployment plan to over prepare for our rotation. My dilemma stems from the fact that immediately returning from the 4 weeks at JRTC, myself and one other soldier will be starting our summer positions as wildland firefighters. Both of us as members on busy hand crews as well. Obviously we have sport specific demands we need to account for there in order to perform such work all summer and into the fall fighting fires out west. Do We need to drop/sub anything from the plan? Does the Afghanistan pre deployment plan have the carryover necessary that we’ll work ourselves into specific condition during fire season? Or do we forgo that Afghanistan plan, and complete the wild land pre season plan and hope for enough carryover to perform our light infantry duties during a long month simulated combat at JRTC. Being that the jobs are similar, I trust your ability to take what I perceive as a complex dilemma and help me work backwards to find a simple solution. Thanks and keep up the solid work! The Afghanistan Pre-Deployment Training Plan is likely the best, limited equipment training plan I’ve got to train for both of your mission sets. I would recommend you and the other soldier heading into the wildfire season add in a long trail (preferred) or road run on Saturdays Start at 7 miles and work up to 12. I’m working through Virtual Packet toward my goal of a Run N Gun event in Sept. I’m ½ way through Humility and am loving the improvements that I’m seeing in my endurance and work capacity. I have a new goal in June where I’ll be climbing obstacles, running with a rucksack, and carrying heavy things. I worried that my strength is not be where it can be since I haven’t hit the barbell in a while. Can you recommend a plan that continues the endurance program of Humility and focuses on rapid strength improvement? I’m interested in your hypertrophy routine but I’m not a skinny guy. I’m actually a little bulky. Will this routine work well for me as well as a skinny person or should intry something else? The plan is designed to add muscle mass, no matter the athlete. So, Yes. I’ve been reading about hybrid training between hypertrophy, strength, and endurance. If you had to narrow down your programming to one program that will benefit Hypertrophy, Strength and endurance…what would It be? I know a book could be written on each one a mile long, but if you wanted growth, strength, and endurance/agility without sacrificing “too much” of one individually. Which program would you recommend? None of the athletes we work with have both a fitness demand for both hypertrophy and endurance. 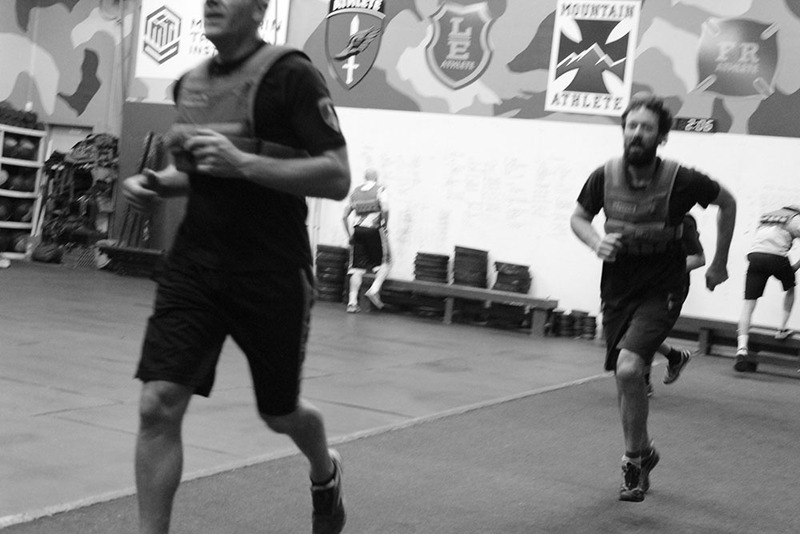 We program upper body hypertrophy for both Law Enforcement Patrol/Detective and Correctional Officers, but neither athlete population has a mission-direct fitness demand for endurance. And the athlete populations we work with which do need endurance, (mountain, military, etc.) don’t have a need for hypertrophy. So – I don’t have a plan for you. What you could do is Rikers, from our packet of plans for correctional officers, and add in some endurance – I’d recommend moderate distance runs (4-6 miles) as a PM session on Monday and Wednesday, and a long run (7-12 miles) on Saturday. Rikers already trains strength and upper body hypertrophy. Understand, however, that endurance works against strength and hypertrophy gains. What’s the difference between the Officer Sessions and the other plans in the LE category like the spirits packet? Also I noticed you retooled Whiskey, will you be retooling the others in the spirits packet? When we began programming for LE athletes, we began with the daily officer sessions. Then we had officers who wanted to do the programming, but didn’t want to subscribe – so we built the Spirits Packet of plans – so now we have both. From a programming perspective, there is no overall difference, but in general, the daily officer sessions are our most up to day LE patrol/detective programming. Yes, we will be updating the rest of the Spirits plans in the coming weeks/months. I’m actually at work updating the military Greek Hero series, mountain Greek Heroine series and LE Spirits series concurrently. 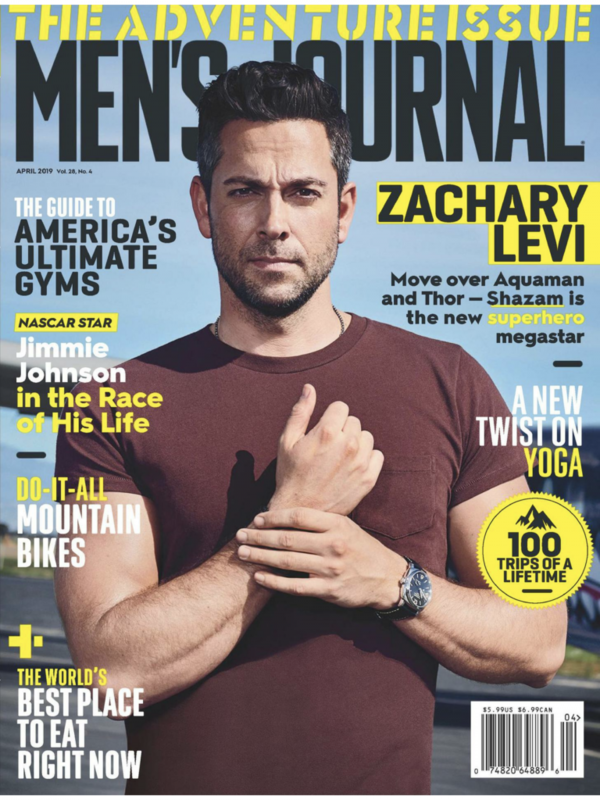 I traditionally have done triathlon exercises (swim, bike, run) in preparation for Ironman races…I’m not planning on racing an Ironman this year and would like to work on building some muscle, but also want to still be able to swim, bike, and run to maintain a base level of fitness in those disciplines. Would the Hypertrophy Program for Skinny Guys still allow for some of that (basically doing a morning strength session and then swim, bike, or run after work) or will it completely wipe me out? It will wipe you out. 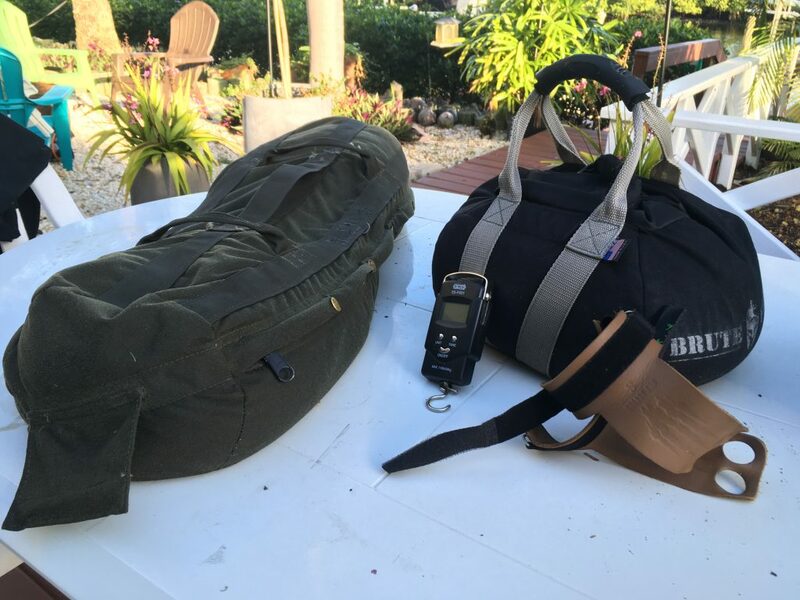 Look at the Pirate Series Plans – these are designed for tactical athletes with water-based mission sets – and include swimming, running and rucking. You could sub biking in for the rucking. Do you think it would be detrimental at all to repeat the APFT 6-week program back to back? Just finishing week 3 and my results are killer so far but I’m not sure if I’ll be allowed to take my APFT in 2 weeks. Just want to make sure I won’t be overdoing it or risking injury by repeating the program. Eventually, you’ll plateau and burn out – so I don’t recommend it. I am doing the Navy PST plan but would like to add to it. Could I add one day of a LSD run and/or ruck march on the weekends? How about If i added some dips, shoulder exercises and the 10 minute sand bag get ups to a few of the days throughout the week? Im also thinking of adding the air dyne. What is the best way to add some assistance exercises or corrective exercises without sacrificing the plan? It’s okay to add extra stuff, but know that it may decrease your gains from the PST plan. As well, if you’re not making your progressions/intervals in the PST plan, cut back on the extra work. I am a combat engineer in the USMC and recently was selected at Assessment and Selection for MARSOC. I will be going to ITC in January of 2020. Unfortunately I tore my pectoralis major in November of 2018, got surgery to fix it in February and just got my sling off a week ago. I am still going through ROM drills to loosen and assist with the recovery process. I am hoping to get a personal workout plan from y’all to start in early May that would start me near the end of my rehab process and take me into the beginning of my ITC intensive training. Roughly a 2-4 month training regime would be preferred. Until then I’m getting back in shape with running and some moderate workouts, staying away from chest strengthening exercises until I am allowed to start by my physical therapist. Is this something that y’all can/would do? If not, due to medical reasons I understand, if so, what would the cost be? And specifically, how personal could a workout be if you’ve never seen me or know my caps/lims? We don’t do individualized training, and you don’t need it. Our Training Plan for Athletes Suffering Arm Injury has been used by dozens of athletes in your situation. This isn’t a rehab plan for your injured side, but rather trains the rest of your body around your injury. I just purchased your apft training plan to try to score a 300 on my next apft. I was wondering if I can run any other programs in conjunction with this one. I was thinking about also doing humility but wasn’t sure if it would take away from the goal and results of the apft program. Thank you. If you’re focused on the APFT, don’t add extra training. Regardless, Humility is far too intense to double up with any plan. Could you direct me to the most basic plan that you have? Not sure your incoming fitness level, but we don’t have programming for seriously deconditioned athletes. What I’d recommend is you try the first week of this plan (click the “Sample Training” tab at the link above) – and see how it goes before purchase.